What if your Dropbox Paper docs were easy to organize and find? Unlike in Dropbox Paper, in Slite, your team sorts notes and docs in shared channels, just like in Slack. Channels are much easier to access and manage. Collections allows your team to further sort docs within channels. Easily drag and drop notes across channels and collections. Slite gives your team a constant overview of what their team members are working on and sharing. Staying updated is as easy as checking out bolded channels to discover what's new. 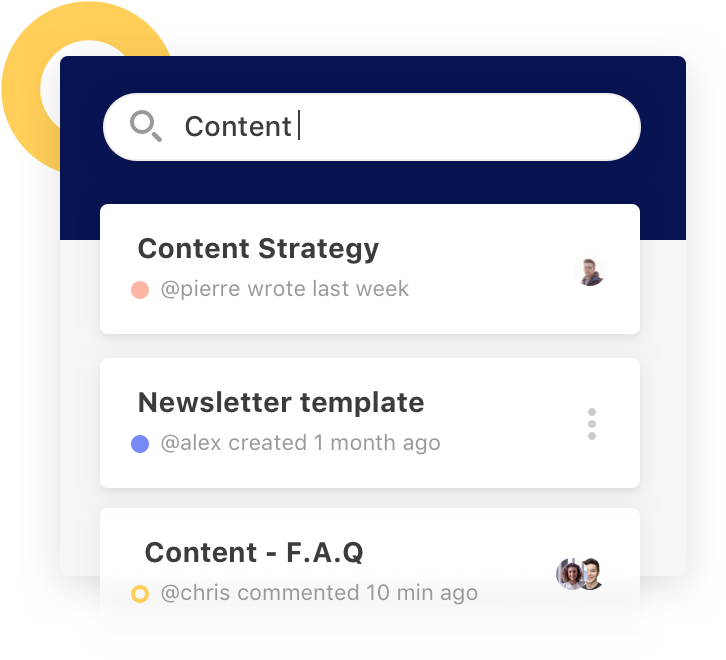 Check your team's activity feed every day to get a news stream of what your team's collaborating on. Handle user permissions in bulk so you never have to wonder about who has access to what. Set permissions at the channel-level: channel members can either be readers, writers or admins for all notes in a channel. You can also send public links of your content to anyone outside of your team. Slite makes sure you spend less time finding relevant information and more time interacting with it. Find the right information. The search bar is always present in the app and just a shortcut away. Find your team members. The quick access lets you find notes and people within Slite. 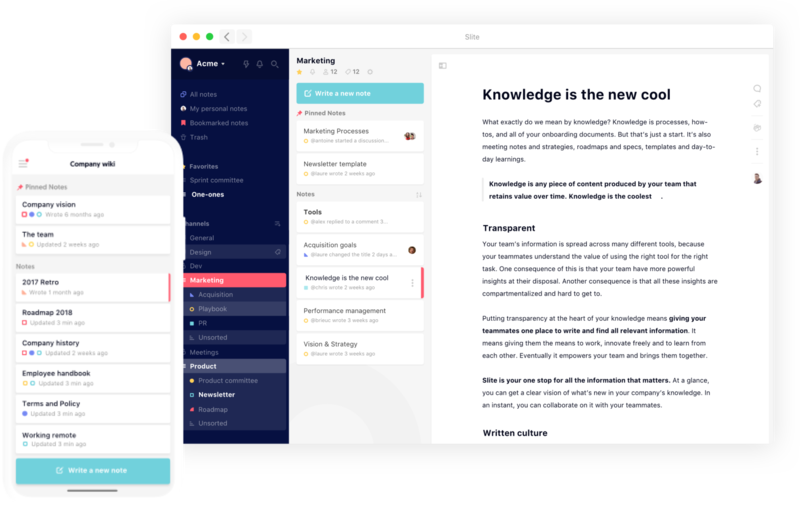 Slite's desktop and mobile apps make writing and sharing more accessible for your entire team. Slite's mobile app keeps your team efficient in the office and on the go! We were collaborating in Dropbox Paper but the structure was really bad. We couldn't find anything and it was really messy. When we found Slite, it felt too good to be true.